The CloudMobile sports a 4.3-inch optically laminated HD display with a tiny bezel (something we can learn to love). On the back you’ll find a Dolby speaker plate, while the entire device manages a sub-10mm profile. CloudMobile is said to launch in late 2012 and will be running Android 4.0, as all good new phones should. TAIPEI, TAIWAN (February 10, 2012) – The Acer CloudMobileTM smartphone has just received the iF design award 2012, in recognition of outstanding achievement in design. Acer CloudMobileTM is the first smartphone to offer AcerCloud technology, which securely connects personal content from Cloud PCs through CloudMobileTM anytime, anywhere. Users can push thousands of photos to and from CloudMobileTM and listen to their entire music collection whether at home or on the go. AcerCloud also enhances mobile productivity by providing seamless document management. Users can access and browse all recent files from CloudMobileTM and print wirelessly with Acer Print. Designed to showcase Acer’s most advanced technology, Acer CloudMobileTM is ultra-slim with a depth of less than one centimeter. Its Sleeve DNA design has soft, wrapping contours which enhance the handheld experience. The stainless steel receiver on the front, and the Dolby speaker plate on the back, have tiny perforation that exude style and high-quality craftsmanship. Tactile details on the volume button and rear side of the phone further enhance the exquisite look and feel. A narrow bezel slims Acer CloudMobileTM down, while still providing room for a 4.3-inch fully laminated HD display. Organized by the International Forum Design of Germany, the iF awards have been held since 1953 and are regarded as an indicator of outstanding quality in design. An international panel of experts judged on numerous criteria including design workmanship, choice of material, environmental compatibility and functionality. According to iF, participation in the iF design awards demonstrates the will to innovate and the courage to be compared next to others in competition. 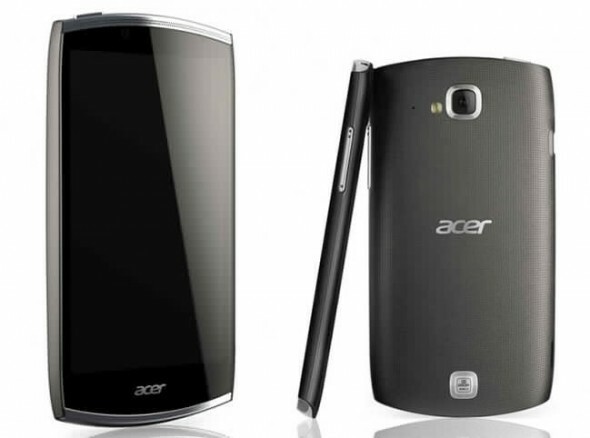 Acer smartphone design has been awarded for its innovation the last two years in a row (Iconia Smart S300, 2011 Computex Design & Innovation). The Acer CloudMobileTM smartphone will be unveiled at the end of February 2012 at the Mobile World Congress exhibition in Barcelona, Spain, and will be available in Q3, 2012.